| Home | How to Take Care of a Chinchilla | How Chinchillas Act: Understand the Meaning of Behaviors? How Chinchillas Act: Understand the Meaning of Behaviors? You may notice that your chinchillas spread apart their whiskers and sometimes the hair on their tails while they explore. This behavior helps them to examine their environment better and get a feel for their surroundings. Chinchillas also do this when they are nervous or frightened. If your chins are displaying this behavior, it is best to remove the cause of their distress or place then somewhere where they feel safe. Chins are reluctant to embrace change, but they are also very inquisitive. That means this behavior may be seen often at first, but it should subside once they begin to feel more comfortable in their new environment. 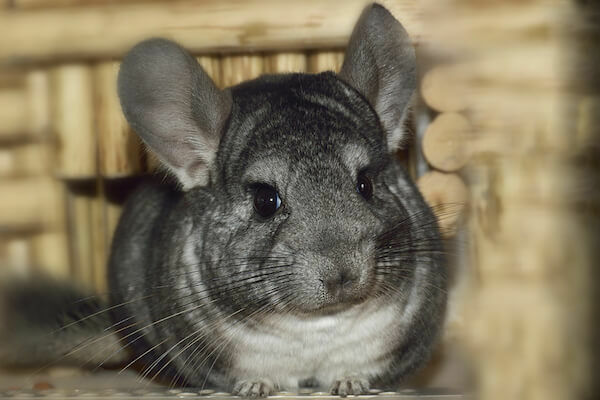 Chinchillas use urine spraying as a deterrent for predators and perceived threats. If your chinchillas are not use to you yet, you may get sprayed when you approach their cage at first or when you try to pick them up. They will probably continue doing this until they become use to you. The safest approach is not to force interaction with your chins until they have adjusted to their surroundings and feel more comfortable with you. Your chins may engage in a behavior known as fur slip, where they lose their fur when they are grabbed. This is a natural defense mechanism that they use when they are trying to get away from you, typically because they don’t want you to pick them up. The fur will only be gone from any areas of the chinchilla’s body that you touched, but it will grow back. If fur slip is an issue you should consider interacting with your chins in another way. That doesn’t mean that you can’t pick up your chins, but it probably isn’t a good idea to handle them too much until they become comfortable with you. Hopping is one way chins show happiness or excitement. Your chinchillas may hop around the room from end to end, or they may simply jump straight up into the air. While their endless hoping is undeniably cute, you must make sure that they are doing their bouncing in a safe environment. Chinchillas can jump up as high as 6 feet into the air, so make sure that dangerous objects are out of reach. Some chinchillas have even been known to accidentally leap into open containers, so make sure that any large containers in their vicinity are free of water or other harmful items so they don’t drown or get into something they shouldn’t. Chins are typically quiet during the day because they are nocturnal animals, but once they are awake for the evening they tend to be rather vocal. Barking, grunting and squeaking are just a few of the sounds that chinchillas make. Barking and squeaking are signs of annoyance and disapproval. This means that you’ve probably done something to make your pets angry or that you are getting on their nerves in some way. If you hear these sounds, it’s probably best to leave them alone for a while. On the other hand, grunting is generally a good sign. Chinchillas that grunt are doing so because they are trying to contact those in their family. As your chins grow closer to you they may begin to consider you one of the group. This means that they may grunt at you to get your attention or simply to find out where you are to say hello. If you notice that your chins have suddenly become uncoordinated, they may have inflammation in their middle ear, also known as Otitis Media. 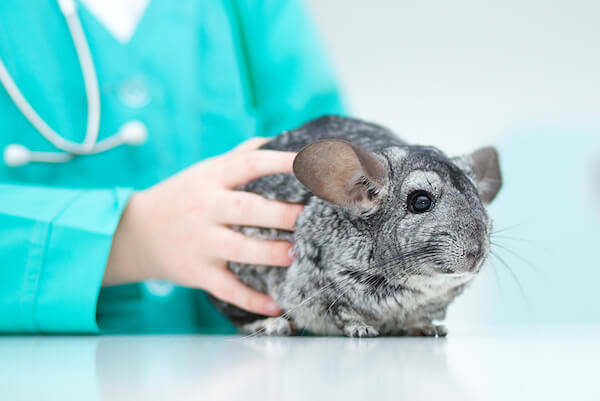 This inflammation may occur in young chinchillas after they have suffered from trauma to their ears or a respiratory infection. The disease may cause scar tissue to form, which in turn traps wax and foreign debris inside the ear canal. 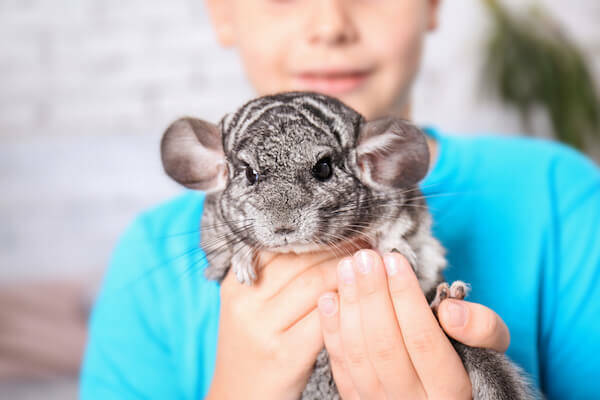 The eardrum sometimes swells and thickens because of this and affects the chinchilla’s inner ear, causing chinchillas to circle or roll around. In some cases surgery may be necessary to open the ear canal. Chinchillas may chew their fur or the fur of other chinchillas for a variety of reasons, including stress, malnutrition, boredom, overactive hormones or an uncomfortable environment. Approximately 30 percent of chins behave in this manner, with the mother often passing the trait on to her offspring. Hair loss from this behavior is typically seen on the paws, along the flanks and sides, and on the shoulders. A few ways to combat this behavior include changing their diet, decreasing the room’s temperature or humidity, and applying povidone-iodine ointment to their skin. Owners may also attempt to remove or reduce anything that causes stress from the chin’s environment.